Whether it's a rainy day or too hot to play outside, it's always good to have some ideas up your sleeve to keep your little one occupied. 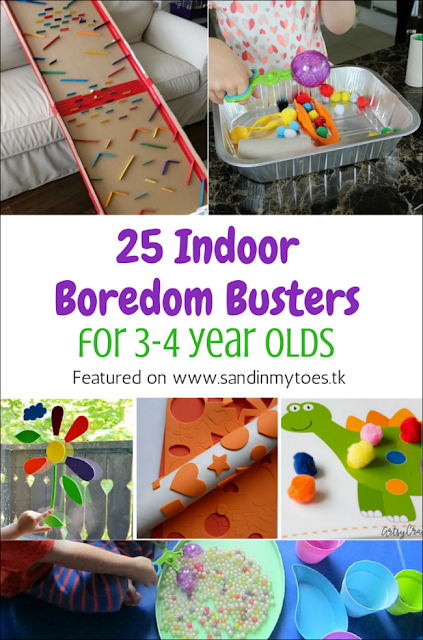 Kids who are three or four love activities that challenge them. They're also at the age where they are constantly learning. You'll love these ideas to beat the boredom from our own Busy Hands series, and from a few of my favourite kid bloggers! 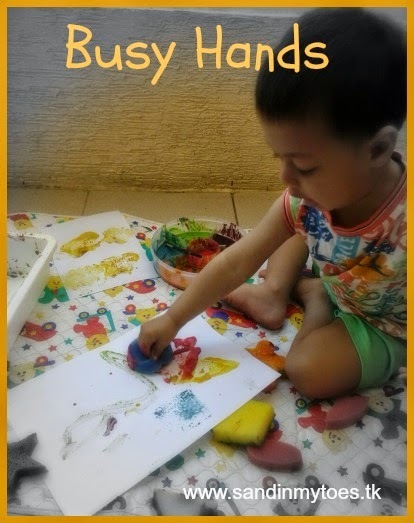 These ideas include art projects, activities that encourage physical movement, printables for play, pretend play ideas, and learning activities, among others. 1. This Cardboard Tube Prints activity is easy to put together, and fun for creating patterns. 2. 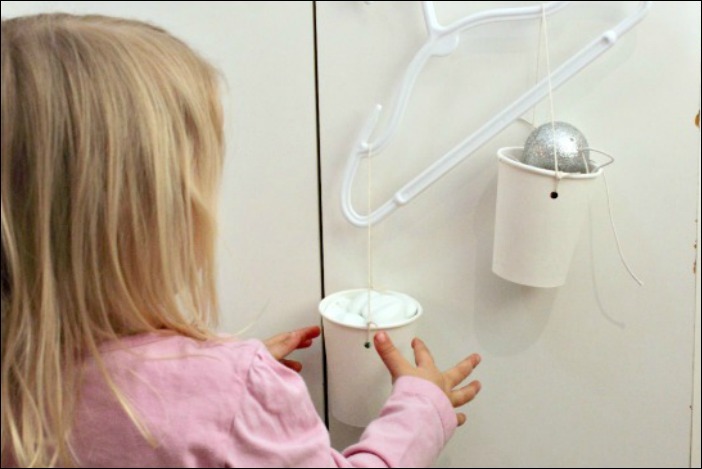 You can re-use a cereal box to make this Ball Game they'll enjoy playing. 3. 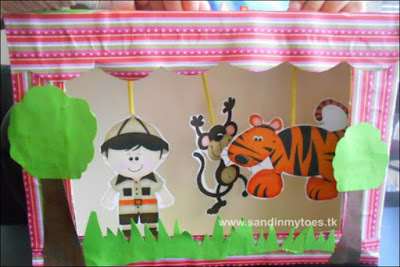 You can also convert the cereal box into a Jungle Puppet Theatre. 4. Try this Tunnel Race with poms poms from Best Toys 4 Toddlers. 5. This cardboard box Marble Run from Frugal Fun For Boys And Girls is truly epic! 6. You can also use cardboard tubes to make these Paper Dolls, from Danya Banya. 7. For kids who love playing with fire trucks, they can make these pretend Flaming Towers where they can 'put out' the fire. 8. For more pretend play, check out how to make a Dressing Up Box from Crafty Kids At Home. 9. Play dough is a great boredom buster, and this Pizza Play Dough Mat is a fun and creative activity. 10. 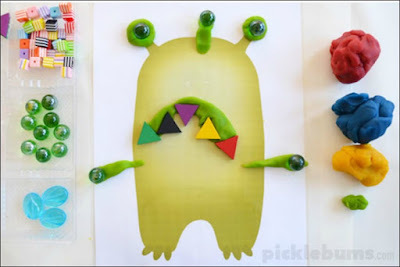 Also check out these Monster Play Dough Mats from Picklebums. 11. Kids will also love drawing on these printable Comic Book Templates from Picklebums. 12. These Dinosaur Pom Pom Mats from Artsy Craftsy Mom are colourful and lovely too. 13. This Letter Stamping activity is great for improving letter recognition. 14. These Fizzling Jello Explosions from Preschool Powol Packets seem like a lot of fun too! 15. Kids can learn about balance and weights with these DIY Balance Scales from Go Science Girls. 16. Sensory play can also be fantastic for indoor play. 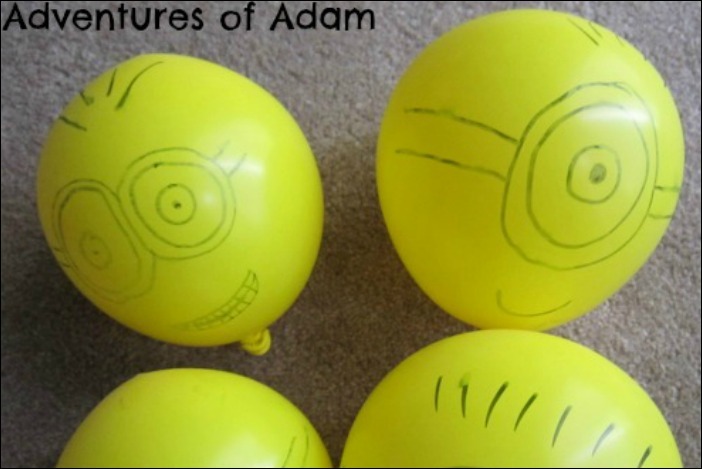 Try this Tapioca Pearl Play activity from Adventures Of Adam. 17. This Scented Ice Play from Hands On As We Grow looks like a great summer activity too. 18. Get kids moving with this Minion Balloon Play by Adventures Of Adam. 19. They'll also love this Balloon Tennis activity from Hands On As We Grow. 20. This Hammering Tees activity will also keep them busy! 21. Or how about these Instant Yoga ideas from Schooling A Monkey. 22. Kids who love playing will cars will like making this Indoor Race Car Track from The Jenny Evolution. 23. This Foam Window Puzzle from Frogs And Fairies is a simple but engaging activity. 24. Making a Bead Necklace is a great activity for improving fine motor skills, from Schooling A Monkey. 25. 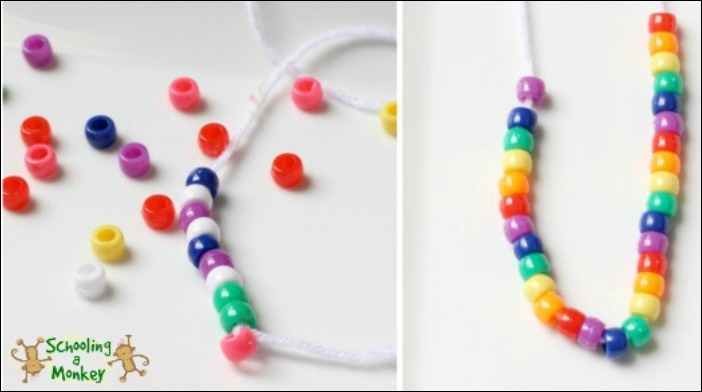 Another fun activity for fine motor skills is this Pom Pom Drop from Crafty Kids At Home.